Do you want to have fun fly fishing in Western North Carolina with professional fly fishing guides instead of losing your money in Las Vegas? Bachelor parties in the movies are most known for night clubs, late nights and even longer mornings. However, spending a day fly fishing in Western North Carolina or Eastern Tennessee, can provide the peacefulness and serenity one desires on a multiple day trip to Asheville, NC. 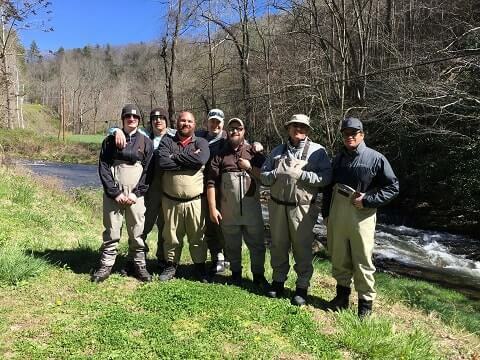 Our bachelor party fly fishing trips are designed for your party to have fun, share laughs, learn how to fly fish for mountain trout, and enjoy Western North Carolina’s beautiful mountain scenery. 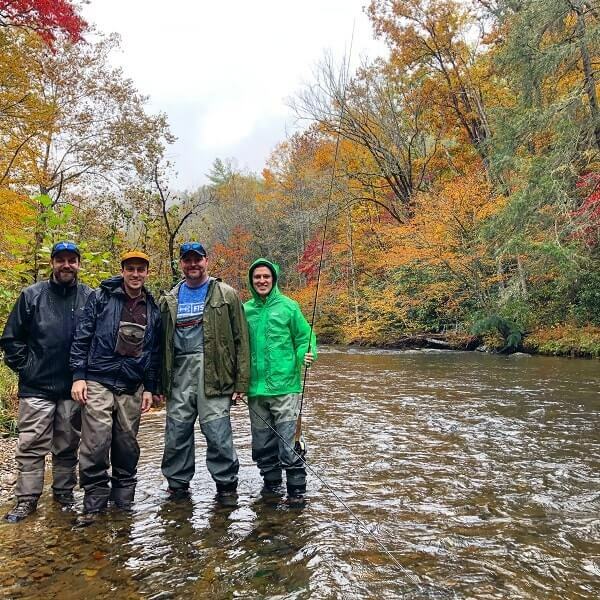 Southern Appalachian Anglers has been hosting bachelor party fishing trips for over 5 years, and our professional and certified guide staff have the expertise and knowledge to teach anglers of all skill levels how to catch mountain trout. All of our bachelor party fly fishing trips are customized and include all fishing equipment and gear for all anglers attending the trip. Trips also include snacks, drinks and lunch and transportation to the river. All of our professional guides are licensed and insured and hold over 25 years of fly fishing experience. Novice anglers can expect experienced and patient guides and all guides provide lessons and casting techniques. Expert anglers will appreciate the expertise our guides have to offer for every river we fish in Western North Carolina. The experience and expertise our guide staff holds is why Southern Appalachian Anglers is the most sought after guide services in Asheville, NC. Contact us at (828) 691-1506 to learn more about our bachelor party fly fishing trips or submit a fishing request through our online messaging center.